In today’s competitive environment, there is a focus on creating work environments that will entice the best and brightest employees. Bare walls look sterile and boring, while those with bright and exciting pieces of art make an otherwise unremarkable office come to life with character and personality. Similarly, offices which have been decorated years ago with mass produced artwork for the office, which has long since faded into the background, seem unloved and uncared for places. Compare this to work places where unique artworks have been carefully selected which stimulate the senses and show employees and clients alike that a great deal of pride is taken in the surroundings people spend a lot of time in every day. Artwork in the office communicates you care. 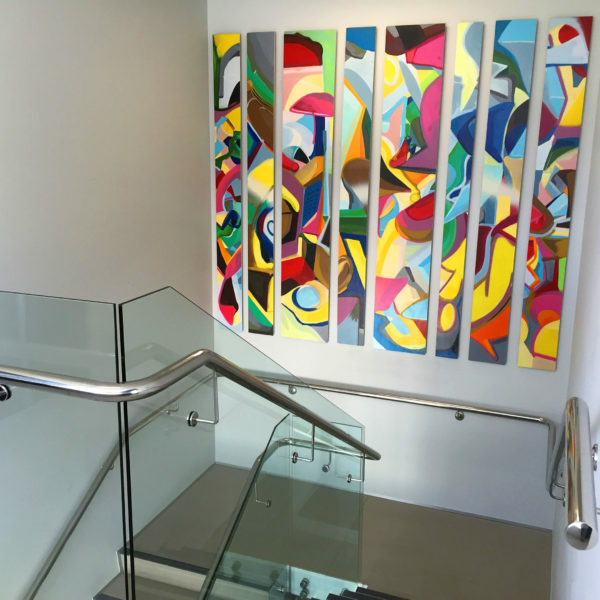 A well-placed piece of art is part of a client’s initial view of your place of work. Those with bare walls or walls adorned with tired and shabby artwork, suggest an office which has fallen on hard times or simply a lack of interest about the comfort of its workers or clients. Good artwork doesn’t have to be expensive these days and the ability to hire art for your office space is a concept which many have taken up. It is important to select a good art rental company who will help you through the process of selecting the right art for the culture and look of your office. This is especially helpful for those with no knowledge of art. With the ability to change all or some of the art regularly, this keeps the work environment fresh and invigorating. Contact us to discuss your requirements for artwork in the office.